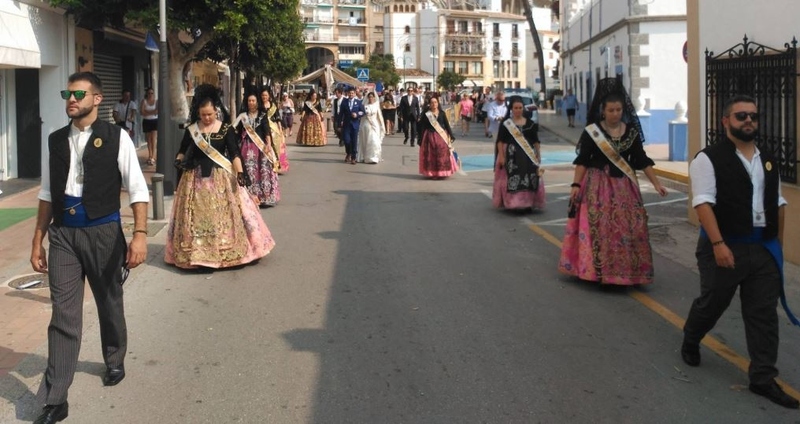 "Fiesta de la Mare de Déu de Loreto" runs from mid August until September in Javea, Spain. The Celebration is in honour of the patron saint of the sea. 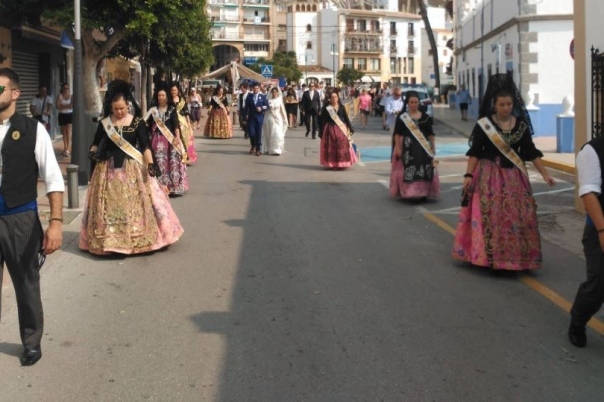 The Javea Fiesta, "Mare de Déu de Loreto" (August and September 2019) is a celebration is in honour of the patron saint of the sea held every year in Javea, Spain. Information about the 2019 Fiesta is not yet available. For guidance, please refer to the 2018 Fiesta Programme provided below. 20:30 Mass for the souls of the deceased and 'besamanos' to the patron saint, Mare de Déu de Loreto. The Fiesta Commission will make a floral offering to the deceased. 11:00 Children’s Fishing Contest (The Port). Registration (for children up to 12 years) will be made after 10:00 and each participant must bring their own rod. 23:00 Presentation of the 2018 Festivities. Presentation of the Mayoralesas and Mayorales as representatives of the 2018 Fiestas (Avendida Jaime I). This will be followed by a performance by The Montecarlo Orchestra until 05:00. 09:00-14:00 Quick Painting Contest (The Fish Market). Registration through addresses and numbers available in the Party Book and on the Fiesta Facebook Page. The presentation will take place at the Fish Market and registration can be done at the addresses and numbers that appear next to the bases in the Party Book and on the Facebook page of Festes Mare de Déu de Loreto. 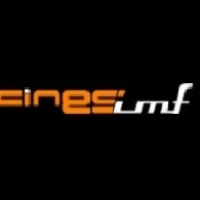 A First Prize of 600 euros and a second prize of 200 euros will be awarded, and a Local and Regional Prize of 200 euros each. In the category of minors, two lots of school material will be delivered. There will be an exhibition of the works participating in the Soler Blasco Museum from August 31 to September 26. The awards ceremony will be held on August 31 during the inauguration. 10:00 Departure of future promises of raspall (C/Virgen de Loreto). 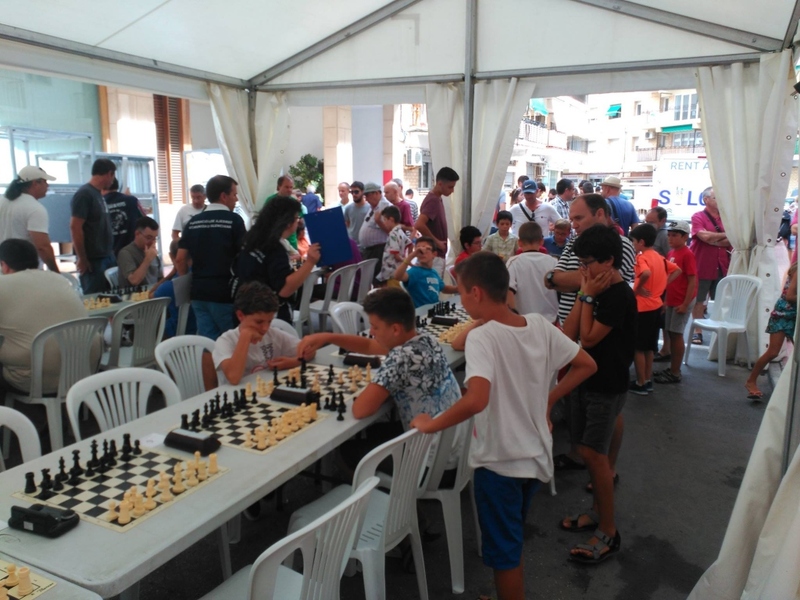 10:00 Mare de Déu de Loreto Chess Championship (Open Vila de Xàbia, c/Severo Ochoa) with the participation of national and international masters. The registration of children under 12 years will consist of the donation of one kilo of non-perishable food. 10:00 Popular Race (Peña La Bufa). Regestration will happen beforehand in Cala Blanca, the starting point of the race. 11:30 Departure of Llargues with palm serve. 12:30 Parade of the Comissió de Festes and Peñas Marineras touring the streets of Aduanas. At the end, the Penyeta Roja will invite us to a sangría a gogó on Paseo Jaime I. 17:00 Championship of Raspall between Peñas Marineras (c/Virgen de Loreto). 17:00 Beer Pong Mariner organized by the Peña La Porcà in the Peñas Campus. Those of legal age can register by contacting members of the Peña until Saturday, August 25th. There will be bar service. 18:30 Extraordinary Departure from Raspall (C/Virgen de Loreto). 20:30 Concert by Jove Band of the Artistic Musical Centre of Xàbia on Avenida Jaime I. 22:00 Brotherhood Dinner on the Paseo Marítimo. The Comissió de Festes will invite all attendees to the aperitif, drinks and desserts. Followed by dancing with The Euforia Orchestra until 03:00 h.
22:00 Musical Sensational of the Comissió de Festes on the Paseo Marítimo with which will take you on a tour of the best known music of the 70s, 80s and 90s. 21:00 Wine with a Story: The Expression of the Earth. At this event, we will discover four unique wines that communicate the most authentic traditions of the area. The event will be guided by the enologist Graciela Pena Valente, of VinoVitaro, and has the collaboration of the sommelier Raúl Caselles, of the Bodega Miguel and Salones Carrasco. Maximum capacity: 65. 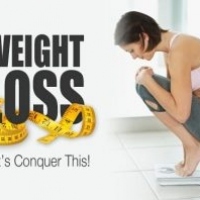 Cost: €15 euros, paid on August 27th in the fester house (c/Severo Ochoa) from 19:00-21:00. 19:30 Presentation of The Book of My Dear Xàbia (Believe, See, Love), the work of Juan Legaz Palomares in the Library of Customs of the Sea. With this work, its author seeks to capture the wonders of this land and the love it feels for the people and their people. 22:00 Brotherhood Dinner in the Bartolomé Ros area. The Comissió de Festes will offer aperitif, drink and dessert. This will be followed by dancing with The Bradmis Orchestra until 03:00. 22:00 Brotherhood dinner (C/Doctor Fleming). There will be a big raffle among all the attendees and then dance until 03:00. Note: During today, the neighbors of Aduanas will begin to decorate their homes, facades, streets and shop windows for this year’s festivities. 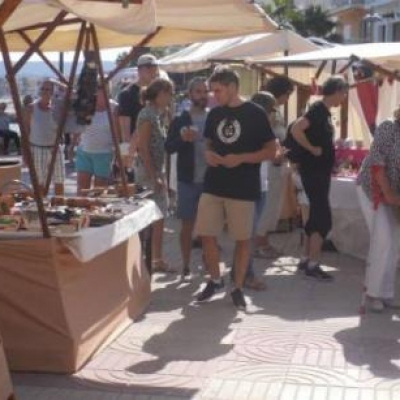 The association of merchants, Javea Port, has organized three competitions with which it wants to encourage to beautify the streets. 12:00 "Bous to the Sea" with the La Paloma ranch and inauguration of the world famous "Baret dels Bous" in its 2018 season. 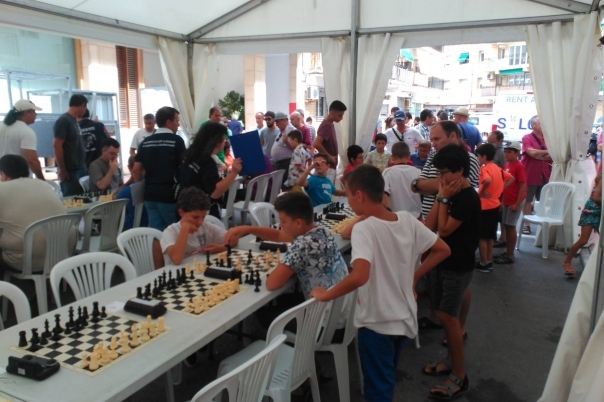 18:30 Simultaneous Chess with the participation of international master Francisco Sánchez-Guirado (c/Severo Ochoa). 19:00 "Bous to the Sea" with the Benavent livestock. Start of the children’s animations for all the children that will accompany the evening performances of the Bous in the tent located on the Paseo Marítimo until 21:00. 23:30 "Bous to the Sea" at the Puerto Campus. Monfort Gasent Challenge Among Livestock. For the first time in Xàbia, four farms, La Paloma, Els Coves, Benavent, and Asensi, will compete in the same night with a cow and a bull in points to obtain a place in the final to be held on Tuesday, the 4th of September. The livestock that obtains the most points will be measured against the winner of the 2017 challenge. During the challenge will take place the 2nd Competition of Folders of Cows with the participation of couples Víctor and Pau and the current winners of 2017, Jordi and David “fichaje”. 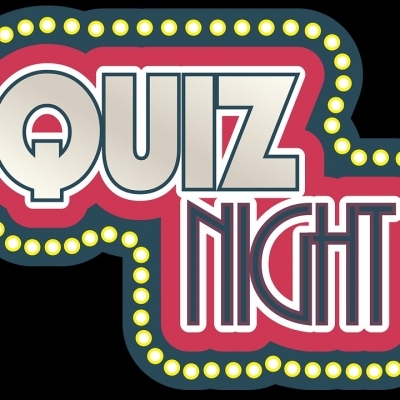 A prize of €100 will be awarded to the couple of cow-doubling players who add more points between the two nights of challenges between herds. 23:30 Discomóvil Aibax & Bup with the music of Salva Burches and Pablo Alemany organized by the Peña La Bufa on the Paseo Marítimo until 04:00. 09:30 Ping Pong Mare de Déu de Loreto Open organized by the Tennis Club Taula Xàbia. Registrations can be made that same day at the Palau Municipal d’Esports. 10:00 Bàsquet tournament 3 × 3 Mare de Déu de Loreto (from benjamines to cadets). Organizes Club Bàsquet Joventut Xàbia . Registration at the Palau Municipal d’Esports until 10:00. 11:30 Fun parade of the Peñas Marineras until we arrive at the Taurino Campus to join us in a new session of Bous a la Mar and Baret dels Bous. 12:00 "Bous to the Sea" with the Crespo livestock. 16:30 Continuation of the Mare de Déu de Loreto 3 × 3 Bàsquet Tournament (juniors and seniors). Organizes Club Bàsquet Joventut Xàbia. 18:30 Parade of Las Peñas Marineras through the streets of Aduanas. 19:00 "Bous to the Sea" with the Els Coves ranch. Animations and dynamics for all the children in the tent located on the Paseo Marítimo until 21:00. 21:00 Concert by L’Orfeó de Xàbia in the parish of Nuestra Señora de Loreto playing Antologia de la Zarzuela. 23:15 "Doma de Caballos en Livertad" exhibition by Javier García and his horses Wendel and Dandy in the Puerto Precinct. 00:00 Challenge Between Different art of National Trimmers with cattle from Hermanos Cabello. During the contest will not be allowed access to the ring of people outside the show for the brilliance and safety of the participants. 00:00 Carnavalia on Tour. Macro-discomóvil on the Via Augusta that combines the best music of the moment, animation, live performances and special effects in the same show until 05:00. 09:00 Children’s Despertà starring the youngest on their big day of the festivities with the participation of the youngest musicians of l’Escola Xirimitab’s de Xàbia. Any child who wants to participate must bring their own instrument to play on Avenida Jaime I. The Comissió de Festes will provide an instrument to all those who do not have one. 10:00 Chocolatada organized by the Comissió de Festes and prepared and distributed by the neighbors of c/Doctor Fleming in Paseo Jaime I. 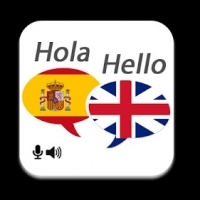 We will continue with popular games in Calle Triana. Followed by traditional meringue on the Paseo Marítimo organized by the Comissió de Festes. Finally a water festival with the collaboration of Transportes Montgó. 10:00 Exhibition of old vehicles on c/Doctor Fleming. 11:00 Inauguration of the Children’s Park and Aquajocs in Paseo Jaime I. 12:30 Traditional Soaping stick in the Bullfighting Ground with the collaboration of the Peña La Bufa. 13:00 Carretons to the Sea in the Bullfighting Area for the smaller bullfighters. The collaboration of the parents is requested for a greater vigilance of their sons and daughters if they intend to go to sea. 14:00 Paella, soft drinks and ice cream for all the children offered by CELDA SL. and Supermarkets Coaliment in c/Severo Ochoa. 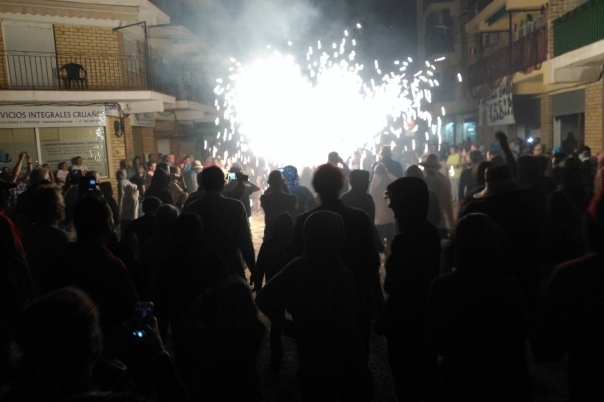 20:00 "Cabalgata de Carrozas" with the participation of numerous musical groups and animation and the funny satirical criticism of the Peñas Marineras that will fill the streets with music and color. The parade will start from the Port and continue through the Plaza President Adolfo Suárez, Santísimo Cristo del Mar, Lepanto, Antoni Llidó, Doctor Fleming, Jaime I and Plaza A. Suárez. 22:30 Concert by Happy Freuds (Paseo Marítimo by the filà Almoradins), followed by a Bit Sound Discommobile until 03:30. 00:00 "Correfoc" by Xarxa Theatre with its show 'El Foc del Mar' that will tour the main streets. The use of fire, the aesthetics inspired by the artist Joan Miró and the music of dulzaina and drum; mark the character of this work that is inspired by the traditions and popular Mediterranean festivals. 12:00 "Bous to the Sea" with the Els Coves ranch. 23:30 "Bous to the Sea" at the Puerto Campus. Exhibition of the herders Hermanos CALI, three-time champions of the Mare de Déu de Loreto Bullfighting Challenges. The livestock show their best cows Caminanta and Poisonous and the bull Mohicano, winner of the 2015 and 2016 editions. 12:00 "Bous to the Sea" with the livestock Templanza, being the first exhibition of its history of this modality of bullfighting. 19:00 "Bous to the Sea" with Crespo livestock. Animations and dynamics for all the children in the tent located on the Paseo Marítimo until 21:00. 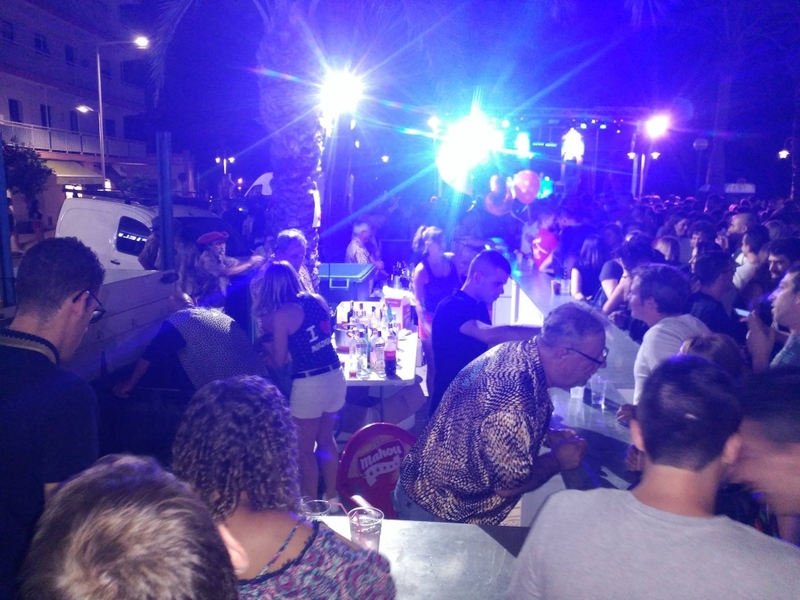 23:30 "Bous to the Sea" in the Puerto Enclosure. End of Monfort Gasent Challenge Between Livestock, in which the winner of the night of August 31st, 2018, will compete against the winner of the year 2017, with two cows and a bull in points each one of them. The livestock that gets more points from the jury, will get a prize of €300. 23:00 Discomóvil Bit Sound in charge of the rock Els Golossos in Paseo Jaime I until 03:30. 10:00 Big Cagada organized by the La Bufa club in the Taurino Campus with a popular lunch for all the attendees. The prize to the winner will be given during the session of bulls in the afternoon at the Baret dels Bous. 12:00 "Bous to the Sea" with the Benavent livestock. 19:00 "Bous to the Sea" with La Paloma livestock. Next, great end of the festival of the bullfighting performances and the closure of the legendary Baret de Bous a la Mar at the end of the season. Animations and dynamics for all the children in the tent located on the Paseo Marítimo until 21:00. 22:00 Discomobile Closing Bull’s Party on Paseo Jaime I organized by Peña El Tremoló with the best music of the moment until 03:30. 10:30 In the house of La Peña La Peña, brisca contest for those over 50 years. 12:00 Awards ceremony of the Children’s Drawing Contest Dionís Henarejos Crespo on c/Severo Ochoa with the comedy performance of the 'Show de Lucky'. 12:30 La Peña La Bufa will invite our seniors for an aperitif. 13:00 Bell Turning General announcing the proximity of religious celebrations in honor of our patrons. 18:00 La Peña La Bufa will visit the Asilo Hermanos Cholbi Hospital. 20:00 Floral Offering to La Mare de Deu de Loreto. The Comissió de Festes invites all the clubs, streets, associations, local festivities, neighbours and all of Xàbia to participate in this very endearing act. 22:30 Sainete Chordi interpreted by the Montgó Theatre Group of Xàbia in c/Doctor Fleming. 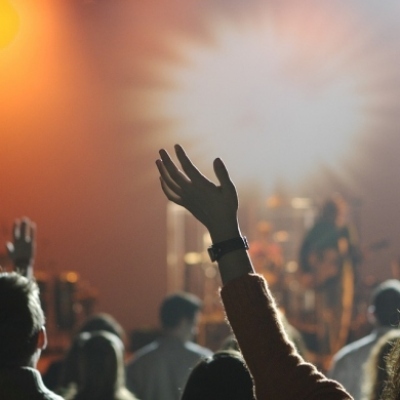 23:00 Concert of the Lol i Pop group at the Paseo Marítimo organized by the La Porcà peña with the collaboration of the La Almadrava Bar-Restaurant. Next, discommobile with DJ Cloustep until 03:30. 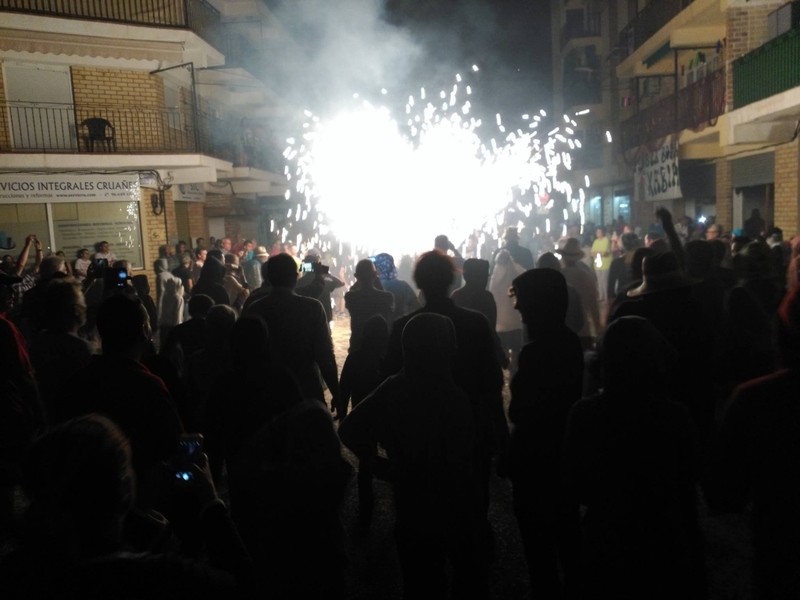 23:30 Night of Round to the Mayor and Major Mayors in charge of the Tuna de Xàbia beginning in the Parish of the Sea. When finishing, in the c/Severe Ochoa, a wine of honor will be offered, courtesy of the Mayorales of 2018 and the Comissió de Festes . 09:00 Awaken! Musical parade Pilatrix through the Aduanas streets organized by the Peñas Pili La Banyà and Liatrix. General bell tolling indicating the celebration of the day in honor of the Santísimo Cristo del Mar. 11:30 Traditional visit of the Mayorals 2018 and Comissió de Festes to the Hermanos Hospital Cholbi and the Santa María Day Centre of Betania. 13:00 Informal parade through the streets of the Mayoralesas, Mayorales and Comissió de Festes Customs offices up to Santísimo Cristo del Mar. 13:30 "Carrer Festa" in Santísimo c/Cristo del Mar organized by Peñas Pili la Banyà and Liatrix. 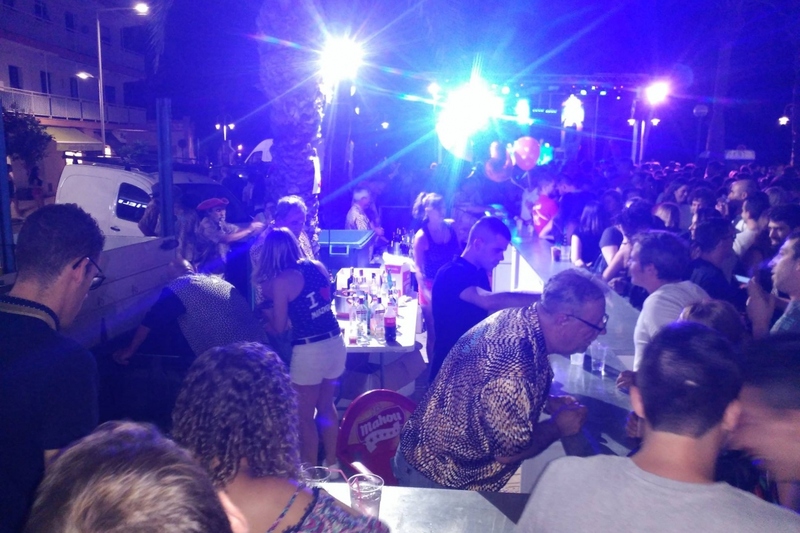 During the celebration, the association of merchants and hoteliers, Javea Port, will announce and deliver the prizes to the winners of the contests of shop windows, balconies,streets and façades. 18:30 Parade with the Band of Music and the Comissió de Festes to visit the decorated ones and accompany the Mayoralesas and Mayorales to the parochial temple. 19:30 Celebration of the Eucharist in honor of the Santísimo Cristo del Mar. The Mass will be sung by the Parochial Choir. Next, Procession of the Holy Christ of the Sea through the Aduanas streets. At the end of the procession, traditional "Mascleta de Colores" on Avenida Jaime I. 23:30 Show by the quartet of tenors In Vivo and the well-known humorist Jaimito Borromeo on the Paseo Marítimo. 08:00 Up with joy on the feast of Mare de Déu de Loreto! Despertà through the Aduanas streets in charge of the Comissió de Festes. 09:00 General bell tolling announcing the great day of Our Patroness. 11:00 Parade with the Band of Music and the Comissió de Festes to pick up the Mayoralesas and go to the parish church. 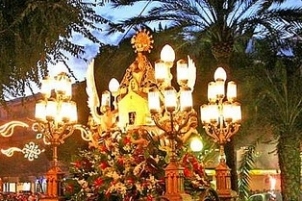 12:00 Celebration of the Solemn Eucharist in honor of Our Patroness the Mare de Déu de Loreto with the assistance of municipal authorities, Town Council of the Fishermen’s Association, representatives of other Fiestas, Mayoralesas and Mayorales of 2018, Comissió and town of Xàbia . The mass will be sung by the parish choir. At the end, the parade of all the attendees to the mascletà enclosure and then deafening Mascleta on the Jaime I avenue. 19:00 Parade of the Comissió de Festes and the Music Band to pick up the Mayorales and Mayoralesas and accompany them to the parish church. 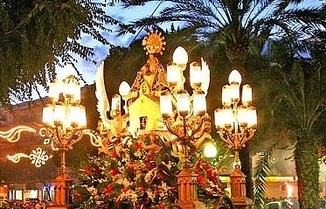 20:00 Solemn Procession of the Mare de Deu de Loreto through the streets of Aduanas. 23:30 Dance with The Scream Orchestra on the Paseo Marítimo. 01:00 Sensational Artificial Fireplace Castle with which we will close the Fiestas in honor of the Mare de Déu de Loreto 2018. At the end, dancing with the orchestra will continue until 04:00.